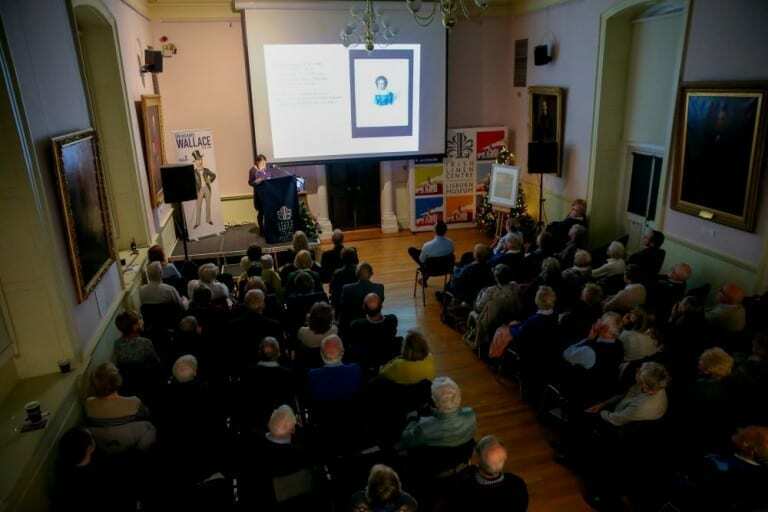 Suzanne Higgott, a curator at the Wallace Collection, spoke to a packed house on the life and work of Sir Richard Wallace (1818-90) at the Irish Linen Centre & Lisburn Museum on Wednesday 29th November 2018. 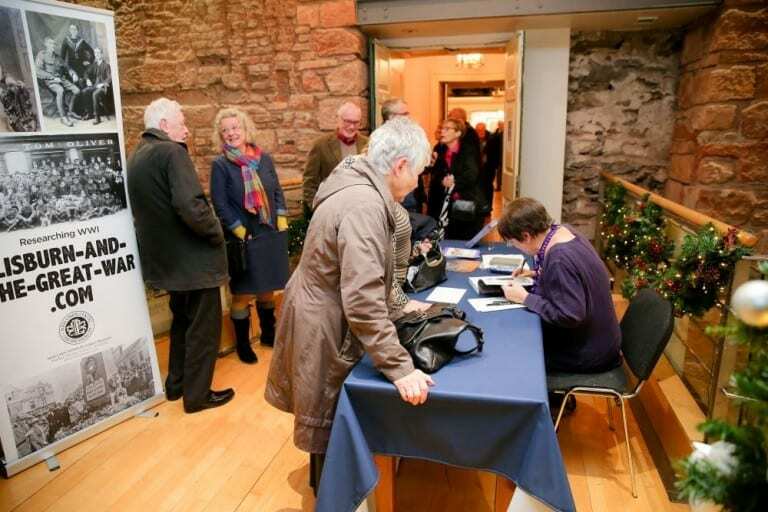 The lecture was part of both the Museum’s hugely popular autumn talk series, and the final event in the Council-wide programme marking the bicentenary of the birth of Wallace. The Wallace Collection is one of the great collections of art and antiquities and was bequeathed to the nation and opened as a museum in London in 1900. In marking Sir Richard’s bicentenary the Council presented Suzanne, on behalf of the Wallace Collection, with a unique framed damask napkin, featuring the Wallace crest, and woven in the Museum’s weaving workshop. 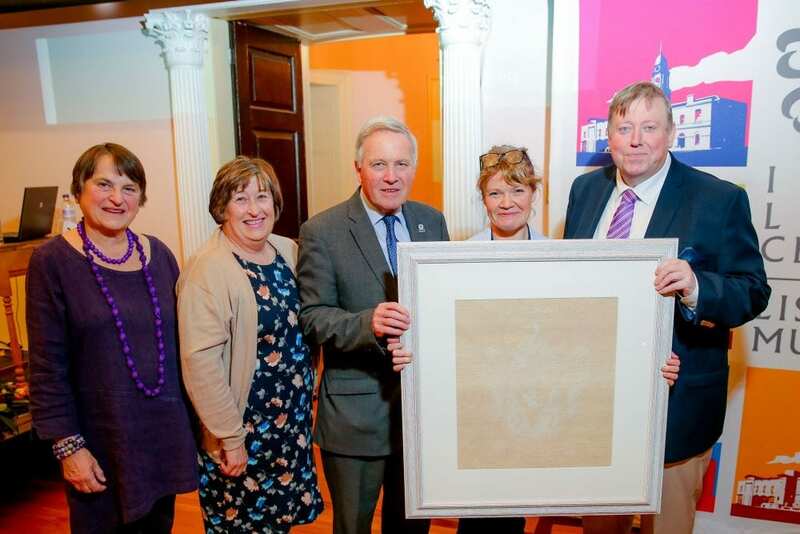 In receiving the napkin Suzanne Higgott, author of a new biography of Sir Richard Wallace, commented that “the napkin is a beautiful and meaningful commemorative piece, reflective of this very special year, and I am delighted to receive it on behalf of the Wallace Collection.” Suzanne, in her appreciation for the “museum’s superb Sir Richard Wallace exhibition”, welcomed news that the display had been extended until April 2019.